Mix ingredients; chill (overnight recommended). This is my adaptation of my coworker’s awesome recipe. 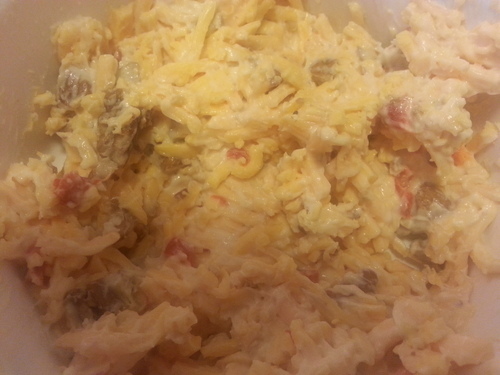 I can’t eat store-bought pimiento cheese anymore thanks to Angie.